25 Should be 18 as Leclerc finished in 9th! Magnussen finished in points as well. The start of the race saw pole man Bottas passed by fellow front row starter Hamilton, Raikkonen and Verstappen, but as Raikkonen and Verstappen squabbled for position Bottas managed to pass both for second place, soon after Verstappen then managed to pass Raikkonen for third after bumping wheels. The key point of the race happened when Bottas retired on track with a gearbox problem, this brought out the VSC and all the front running cars pitted apart from the race leader Hamilton, this proved to be a mistake because when Hamilton did pit he dropped down to 4th place just in front of Vettel. Ricciardo had managed to pass Raikkonen for second place but then started to struggle with rear tyre graining which allowed Raikkonen to repass him, next in line to try and pass Ricciardo was Hamilton but Ricciardo pitted however this held up Hamilton which allowed Vettel to get a run on Hamilton and he passed him for third. Even though he pitted the latest Hamilton started to struggle with rear graining so he pitted losing a position to Ricciardo, however Ricciardo retired soon after so this allowed Hamilton back into 4th position. 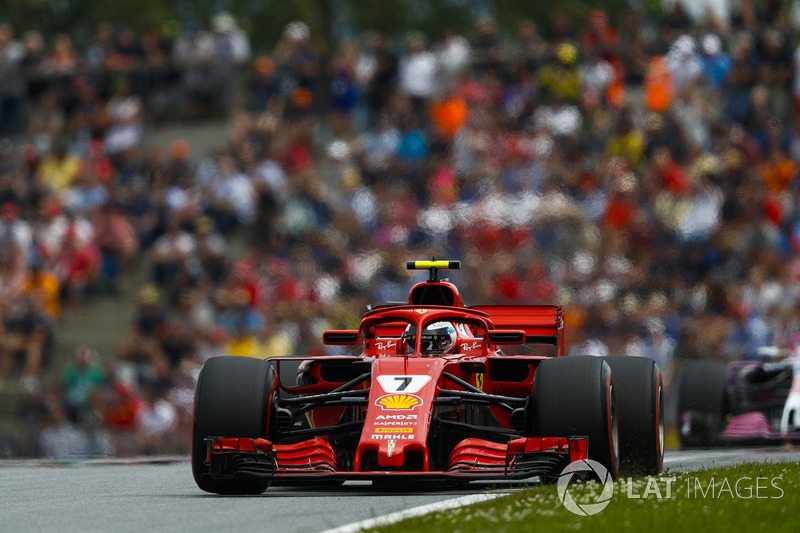 The Ferrari's of Raikkonen and Vettel then started to chase down Verstappen who was also struggling with rear tyre graining but Verstappen managed to hold on to take the win, Hamilton meanwhile was hardly any quicker on his new tyres and retired late in the race leaving the two Haas cars of Grosjean and Magnussen in 4th and 5th places. In third place with 78 points and receiving the "Racing Vettel Trophy"
In second place with 81 points and receiving the "Rocket Raikkonen Trophy"
In first place with 88 points and receiving the "Victorious Verstappen Trophy"
P2 with 81?! Is this the lowest scoring race ever? I'm not sure we've had quite low ones before. Well..... wow. My first win! With 88 points I knew it'd be low scoring but I thought I was in for a really bad one. Kimi just had a good race so a DNF must be due. And I don't think Sauber will have the pace here. Well my support hasn't broken his streak so you should be alright! Last edited by Bentrovato on Fri Jul 06, 2018 4:32 am, edited 1 time in total.